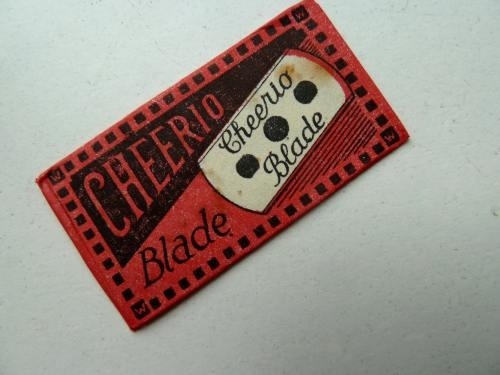 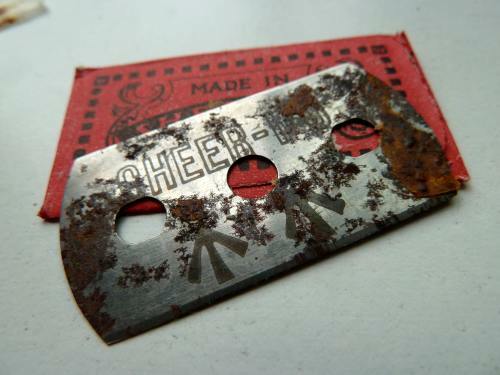 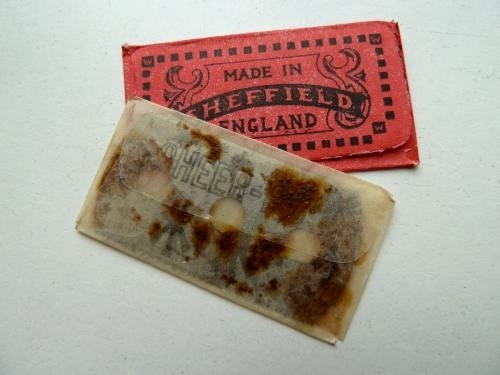 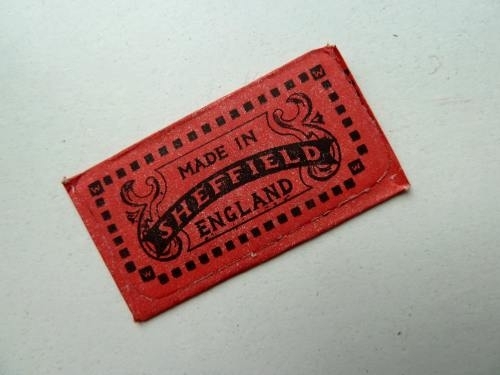 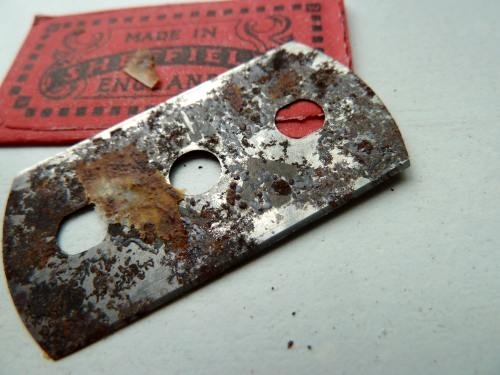 , these are the exact same as the magnetised blades produced by the Fleet razor blade company but called Cheerio and by the Wafer Razor Co Ltd Sheffield, in fact the name Cheerio may well have been used as a sneer to the unsuspecting Germans (cheerio or goodbye to the enemy when using it to escape). 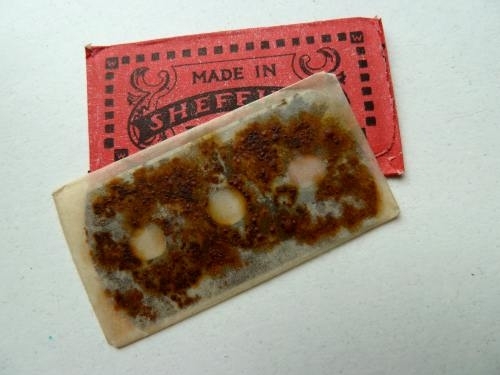 As can be seen in the photos the outer packaging is good but the inside waxy paper has stuck to the blade one side of the blade is pretty good and the north facing arrows are clear but there are surface rust spots, the other side is a little more rusty but nothing deep only surface, with a little care this will clean up better gently using wire wool. 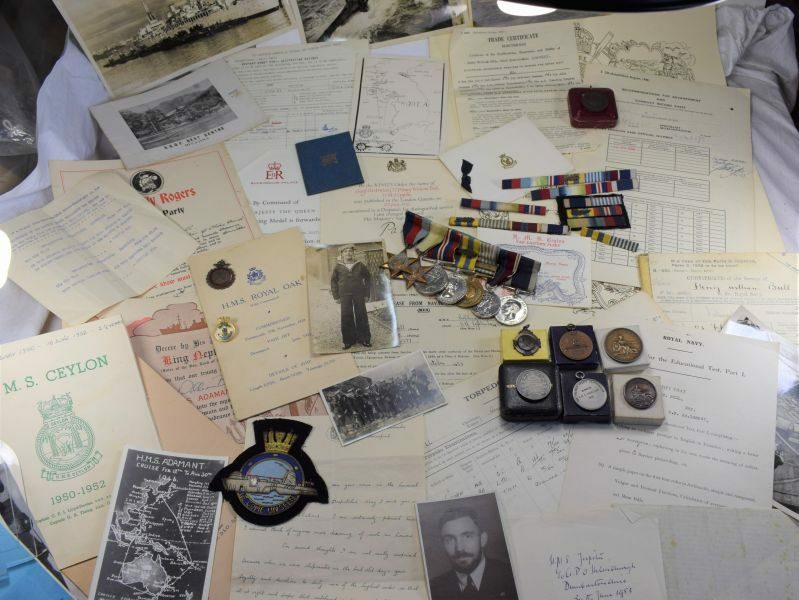 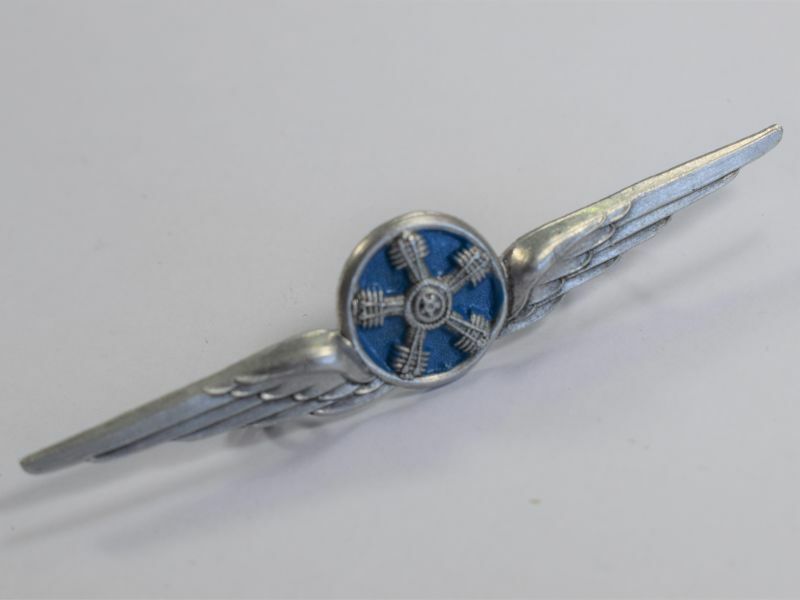 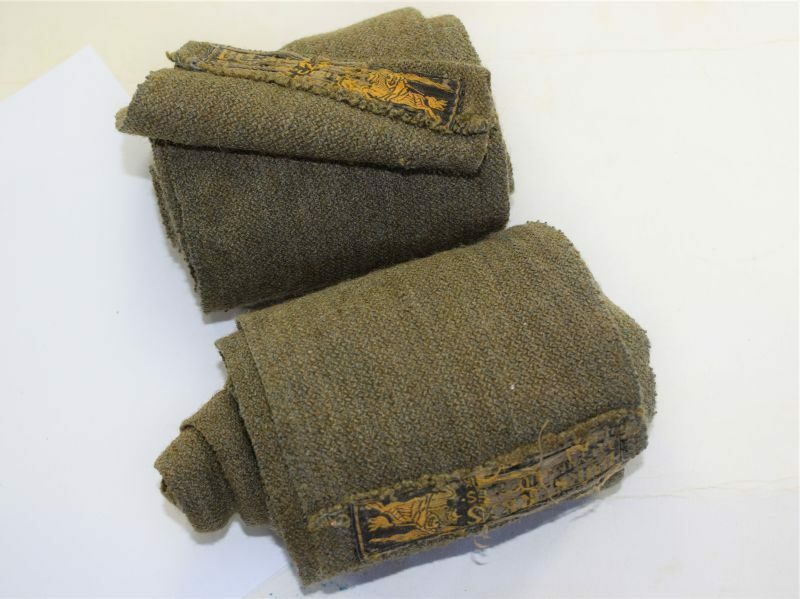 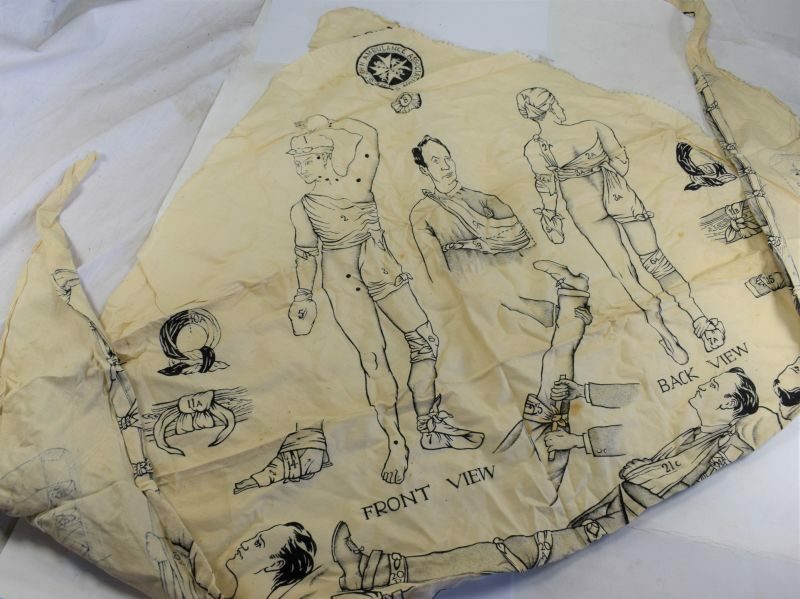 A nice original escape & evasion item as sent to POW camps etc.